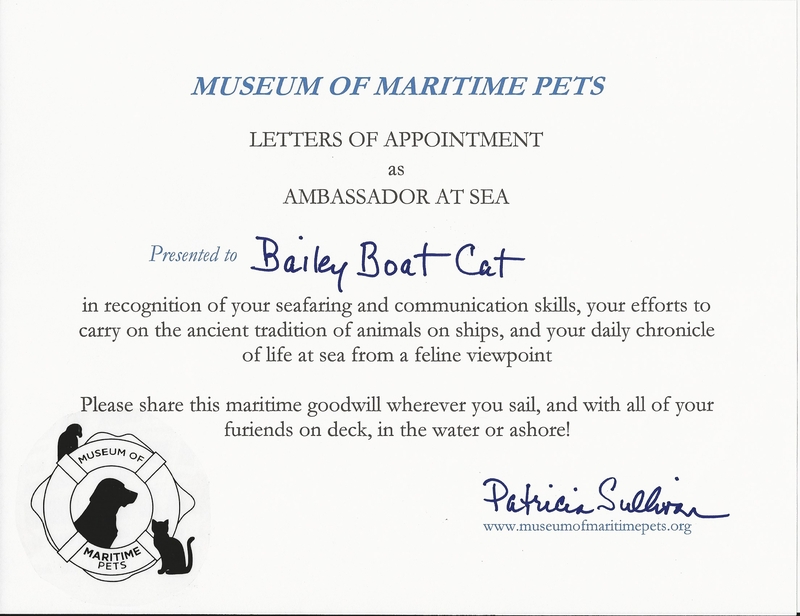 I’m very honored to tell you all that I’ve been appointed Ambassador at Sea for the Museum of Maritime Pets! I’m very proud of my new position and intend to be the best ambassador I can be. I’m very fortunate that this summer we will be sailing far and wide and I will enjoy telling everyone about the Museum of Maritime Pets. Their mission statement is purrfect in my whiskery opinion! The Museum of Maritime Pets fosters an appreciation of animals living or working on or near the water, who collaborate with man in times of peace and war. The Museum documents their contributions and promotes safe and humane treatment of animals who live or work on or near the world’s waterways. I’d love it if you would like to say ‘hi’ to my furiends at the museum you can pop over to their Facebook page or twitter. I’m sure you’ll all just love their website too. « New collar fit for a boat cat! Captain Tony with Missy house dog and security officer. how cool is that!? Concatulations! ConCATulations Bailey! We can’t think of a more deserving or PAWESOME ambassador for the museum than mew. 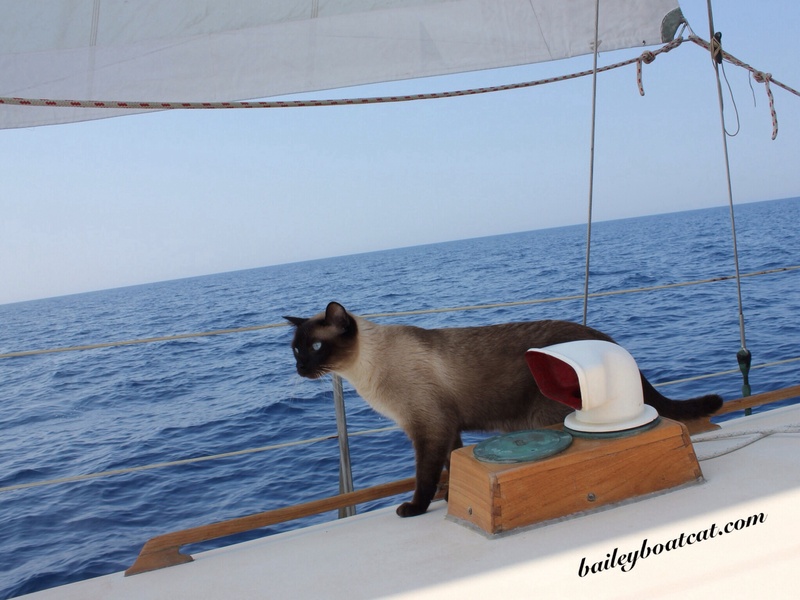 What an amazing year for mew: blogger, Sea CApTain, author, human supervisor, and now ambassador. We love and support mew always! Congratulations Bailey, very well deserved recognition! Good show Bailey! Something for you to be ultra pround of my friend. I’m sure you will spread the good will throughout the seafaring community. That’s really fabulous Bailey! Congratulations my friend…..I’ve never known an Ambassador of ANYTHING before! Well done, your family must be very proud of you Bailey! Concatulations Bailey! That is absolutely pawsome news!!! Congrats, Bailey! That’s very cool. Pawsome! I know you will make a purrfect ambassador! How fantastic Bailey!!!! You are the purrfect choice for ambassador!! Congratulations, Bailey! Well deserved. The Museum could not have chosen a better Ambassador. I know you will do a fantastic job. What an honor, Bailey! Congratulations!